With the LANCOM WLC Basic Option, LANCOM routers without WLAN are upgraded with the functions of a WLAN controller. This option enables a single device to manage up to 12 access points or WLAN routers. Small networks in particular benefit from important and professional new functions, without the need for a separate WLAN controller. This minimizes the costs of the network solution and keeps the number of managed components to a minimum. With the LANCOM WLC Basic Option, LANCOM routers without WLAN are upgraded with the functions of a WLAN controller. This enables a single device to manage up to 6 access points or WLAN routers, or even 12 devices after installing the WLC AP Upgrade +6 Option. In particular, for smaller WLAN infrastructures this option offers genuine added value because there is no need to operate a separate WLAN controller. Networks grow continually and need flexibility to be able to expand. Even with the best planning, the available resources can still reach their limits. The LANCOM WLC Upgrade +6 Option facilitates the management of up to 6 additional WLAN devices. This means that the network can grow without requiring any additional hardware. The LANCOM WLC Basic Option gives LANCOM routers all of the functions of a WLAN controller. A single LANCOM router equipped with the LANCOM WLC Basic Option is able to manage LANCOM access points or WLAN routers located in the LAN or accessible at remote branches and home offices. Ideal for smaller but professional WLAN installations, e.g. for retail stores, businesses or small hotels. 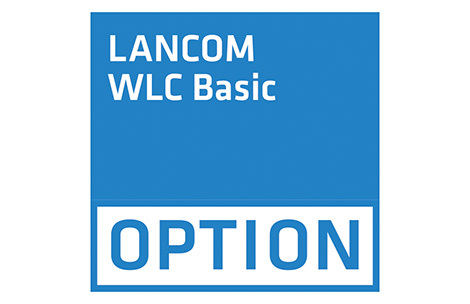 The LANCOM WLC Basic Option quickly and easily integrates new WLAN devices into the network, and it assigns configurations to them automatically. Each new WLAN device receives a fully customized configuration with a profile assignment.